Purity of Reverse Osmosis with added minerals for alkaline drinking water. ¨ VectapureNX—The all new residential RO drinking water system demonstrates the next generation of RO technology. ¨ The reliablilty and superior performance you have to expect from Waterite’s legendary Vectapure systems has just become better! ¨ VECTAPURE NX systems now feature an easy-charge fully encapsulated 75GPD membrane and fewer fittings for simpler, trouble-free operation. Its streamlined design makes installation a snap! The Newly designed pH Plus Minerals Reverse Osmosis system includes two additional filters to maximize the addition of minerals and pH shift. It adds essential minerals including calcium and magnesium, and filters contaminants including fluoride, chlorine, arsenic and heavy metals. The unit installs in your under sink cupboard and requires minimal space. ¨ 2 carbon,1 spun polypropylene pre-filter cartridges and inline carbon/calcite and increasing pH mineral filters. ¨ Chrome designer faucet—3/8” tube attached for easier hook-up, and faster water flow. 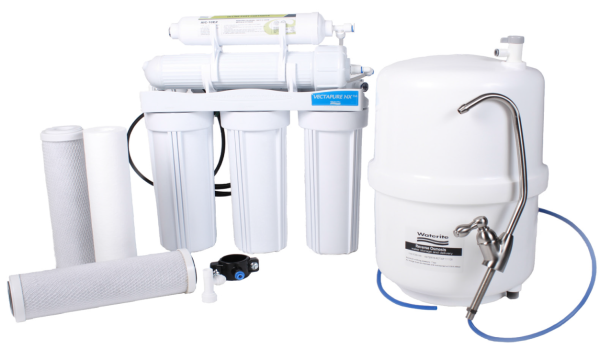 This reverse osmosis water system is designed only to improve aesthetic properties and is not designed to act as a primary barrier to waterborne, microbiological or toxic chemical contamination. 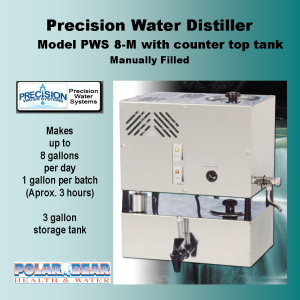 Where these conditions may exist consult a water professional to ensure sufficient raw water pre-treatment and disinfection. 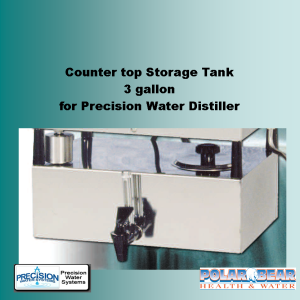 RO is the most effective way of removing unwanted contaminants from drinking water. In the course of RO Water Treatment, contaminants and other impurities will be removed. Although not deliberately demineralized, water may also undergo significant changes in its mineral content due to the RO treatment processes. Remineralization and increased alkalinity for stabilization of the water are often accomplished by use of a lime or limestone media filter. The mineral Stone In-line Cartridge we offer is mineral media that adds calcium, magnesium, sodium and potassium back to purified RO water under a controlled atmosphere. Since reverse osmosis increases the monovalent-to-divalent ion ration, re-mineralization of RO water is usually advisable. By re-mineralizing the RO water you are raising pH of the water, enhancing the flavor and producing a healthful product water. Reverse osmosis, also known as hyperfiltration, is a process that reduces the particles down to the molecular level. The same process used by major bottled water companies, reverse osmosis reduces the salts and other impurities, giving you high quality great tasting water. 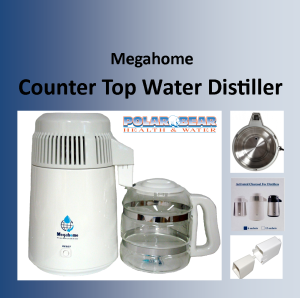 This 6 stage system provides an affordable alternative to bottled water, conveniently located right in our home. 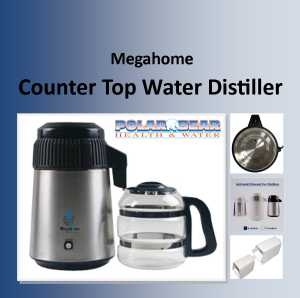 Provides bottled water quality Numerous uses: Drinking water, coffee, tea, juice, ice makers, food preparation and more. This reverse osmosis unit uses 6 steps in the purification and remineralizing process. Steps 1-3 remove impurities, Step 4 is the membrane, Step 5 is a in-line carbon filter which makes sure water is great tasting ( this step you have the option to replace this filter with a combination filter which contains carbon but also calcite – which will also increase the pH level) Step 6 is the in-line mineral filter which adds back minerals – but also naturally increases the pH level as well.